If you love the classic Roulette that is fun and exciting with all your folks watching you get lucky, be ready for double the fun and of course double the chances to win. Say hello to Double Ball Roulette that makes your luck stronger with two balls set to roll at a time. One ball misses the number sequence you bet on, the other one drives your luck further to win for you. When you spin, a ball is released followed by the second ball after a while, however, you have an option to release the second one when you want. This makes it easier for you to try different strategies of releasing the ball to see where it goes. The developer is NYX – FELT Gaming who is among few pioneers in the industry to bring real life casino to the computer and mobile platforms. With years of experience in making gamblers’ lives easy by enabling them to play their favourite casino online, they have earned huge popularity among game players across the world. In Double Ball Roulette, you are presented with standard European Roulette table with added options and advantages for you. While the two balls you release plays for your luck on the main table, it also allows you to play your side bet where you can win a whopping 1200 to 1 times your bet. The minimum bet amount in Roulette is 10p and maximum is £50 for inside bet and maximum £1,000 for the outside bet. For the double ball bets, the minimum is 10p and maximum are £10 and £1 for any same number and maximum jackpot respectively. 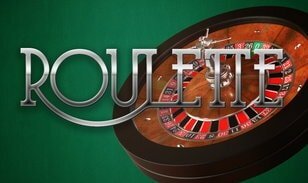 ● Placing Double Ball Roulette Bets: You will be given a table with numbers 0 and 1 to 36 and you can bet on one or multiple numbers with a maximum of £1 per number. Once you choose your number and if both the balls fall on one particular number from your selected ones, you get to win 1200 to 1, consider £1 as max you can win £1200. ● Paytable for Inside Bets: If you bet on one single number and if one of two balls falls there, you win 17 to 1 your bet amount. If you split your bet on a line between two numbers and if one ball falls on either of those two numbers, you will win 8 to 1. 3 line win will get you 5 to 1, 3 to 1 for 4 corner win and 2 to 1 on 6 line win. Double Ball Roulette is a game that doubles your chances of winning with two balls rolling at a time. With stakes as high as 1200 to 1, you can easily expect to take huge rewards with some luck in you.